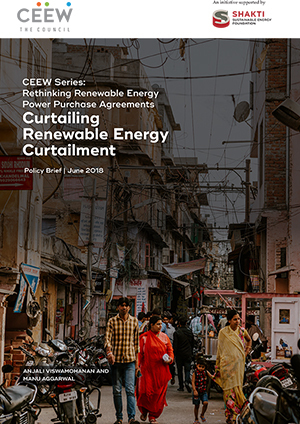 This factsheet gives an overview of renewable energy curtailment, it’s political economy, and the key players involved. 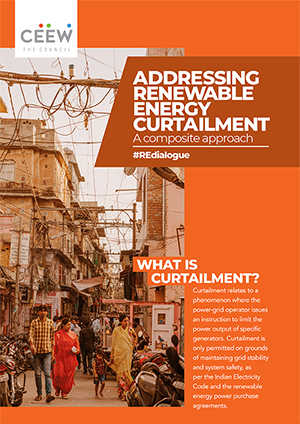 It offers two solutions to the issue of RE curtailment - the Grid Integration Guarantee, a short-term intervention to underwrite the risk of curtailment; and the restructuring of RE power purchase agreements (PPAs), to balance out the risks pertaining to curtailment amongst the parties responsible for its occurrence. Curtailment relates to a phenomenon where the power-grid operator issues an instruction to limit the power output of specific generators. Curtailment is only permitted on grounds of maintaining grid stability and system safety, as per the Indian Electricity Code and the renewable energy power purchase agreements. Curtailment is expected to increase along with the growth in proportion of renewable energy in the energy mix due to technical reasons. Curtailment affects the attractiveness of the RE sector for developers and investors. Unanticipated curtailment negatively impacts returns on investment and project viability. Electricity distribution companies (DISCOMs) prefer to offtake power from the lowest tariffs, leading to higher curtailment of RE generation due to the higher tariffs of older installed RE capacity. 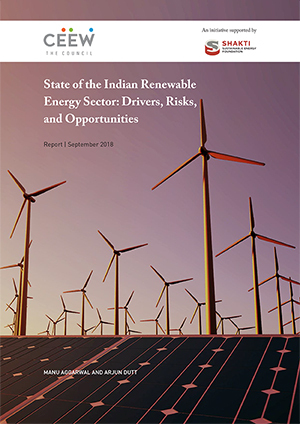 DISCOMs are also required to ensure constant supply of stable power, but renewable power is variable and difficult to accurately predict, schedule, and mange. State Transmission Utilities (STUs) are expected to compensate affected electricity buyers (DISCOMs) the transmission charges in case of transmission system unavailability. However, no compensation exists for RE developers in such situations. 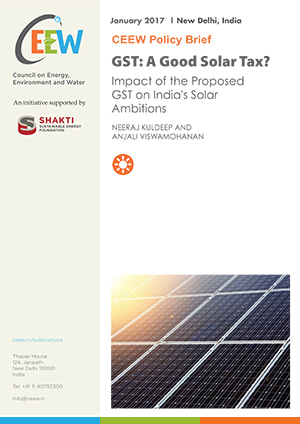 Central and State governments are trying to mitigate the risk of curtailment though enforcing certain regulatory, contractual, and technical measures. The Council has adopted a composite approach to the risk of curtailment, with a focus on identifying immediate stop-gap solutions to address the impacts of curtailment. A suite of financial and non-financial options have been developed that could be implemented individually, or together. The Grid Integration Guarantee (GIG) is an innovative and market transformative instrument to mitigate the curtailment risk. The central principle behind the GIG is that curtailment risk needs to be moved away from developers to grid operators and grid planners such as transmission companies and Load Dispatch Centres since they are in the best position to manage it. GIG aims to support deep de-risking of renewable energy assets, making them suitable for the risk-return requirements of institutional investors. Its offering could help in bringing part of the half trillion dollars required in the mitigation finance in developing countries, at affordable terms. Power purchase agreements (PPAs) can be used as risk mitigation instruments by allocating risks to the party that is best able to control and manage it (both in terms of the likely occurrence of the risk and its effects). Currently PPAs are entered into only between the RE generator and the DISCOMs. In case of failure to manage the risk as anticipated at the time that the agreement is signed, compensation is due to the affected party. This provides more certainty to the contracting parties. PPAs can be structured in more robust ways that can establish a guaranteed quantum of power generation at the outset, comprehensively define what constitutes curtailment risk, provide full compensation for any curtailment, and hold all parties accountable. Curtailment is likely to have a significant impact on the pace and feasibility of RE deployment going forward. Since grid upgradation efforts will require a longer horizon to implement, immediate solutions to address the impacts of curtailment are the need of the hour.